While held in the Macomb County Jail for the past twenty-one months on charges of first-degree murder in the death of a Warren woman, George Rider, 60, has had his constitutional rights trampled over by Roseville and Warren police 0fficers, and by Macomb County Circuit and District Court judges. On February 4, 2017, while exiting a car wash located on Gratiot and 12 Mile Rd., Rider had his SUV blocked by police from both the Roseville and Warren Police Departments. Police with guns drawn ordered him out of his vehicle then handcuffed him and placed him in the backseat of their scout car, confiscated two cellphones along with the Ford Explorer and left Rider standing on the street. Rider had asked the police if he was under arrest. They responded in the negative, but an employee at the car wash said, “It sure looks like you’re under arrest to me.” Rider then asked, “If I’m not under arrest then why am I handcuffed?” He was then uncuffed and left stranded on Gratiot Avenue. Within a few weeks of the unlawful stop, Rider was charged and remained in the Macomb County Jail without bail. There have been countless postponements since the preliminary examination was held in front of District Court Judge Michael Chupa. A sequence of conflicts of interest began early on with Judge Chupa first signing upwards of 40 search warrants pertaining to the case, then presiding over the preliminary examination. How can a jurist be a fair and impartial referee after signing search warrants in the very case in which he would go on to hold a preliminary examination? This sort of practice at the very least potentially poses the above-mentioned conflict and borders closely on being a violation of Rider’s right to due process of law. During a motion hearing, Rider and his attorneys challenged the veracity and substance of the searches authorized by Judge Suzanna Faunce. Her sister, who is Judge Jennifer Faunce, another Macomb County Circuit Court Judge involved in Rider’s case, heard the motion challenging the validity of the warrants and likely deliberately denied the motions due to a preconceived notion and position on the case, circumventing the judicial process by allowing for an injustice of this magnitude to take place in her courtroom. Irrespective of a judge’s position on a particular case which lands in their courtroom, she must under the laws of this land and under the U.S. Constitution administer a fair application of the very law she has sworn and taken an oath to adhere to regardless of her personal position. Otherwise the judicial system is made to be a farce and rigged process counterproductive to defendants and their rights. The presumption of innocence is prematurely faded due to a lopsided application of fairness which tends to lean more so toward one side than the other. On September 24, 2018, Rider learned in court that the conflict of interest is of such irreparable harm that Judge Jennifer Faunce had to recuse herself from the case by order of Chief Judge James Biernat, Jr., due to the blatantly obvious biased position she allowed herself to partake in. Judge Jennifer Faunce has tainted the legal process by purposely engaging in a practice that undermines all fundamental sense of fairness to the accused. Allowing any judge to disregard the rights of a defendant shames not only a court of law but the very principles on which the judicial system is supposed to stand. And, for any judge of the Macomb County Circuit Court to knowingly and deliberately turn a blind eye to the injustice in the case against George Rider, amounts to a complicity that must be rooted out of the legal process in the case at bar. If not, then those involved are bordering quite closely on an act of corruption on a level that must be investigated by the Michigan Judicial Tenure Commission to assure that a defendant’s rights in a criminal case (namely George G. Rider) are protected accordingly. The surrounding factors relating to how judges in the Macomb County Circuit Court have unfairly treated defendant George Rider should be investigated by this entity mentioned above. The Macomb Daily, the Detroit Free Press and the Detroit News should all fairly report from both sides of the spectrum, on such news worthy matters like a judge who has been found to be in conflict of interest and was recused. These newspapers were quick to write stories about the arrest of George Rider and include other unrelated matters from decades ago, then why not write about the corruption which leads to the chamber of judges at the Macomb County Circuit Court? VOD: The Detroit Free Press and other newspapers zeroed in on George Rider’s 1992 federal drug conviction, but did not tie it to anything in this case. They also did not tie him to the murder in the case except through his alleged relationship with one of the co-defendants. They claimed he was in Wayne County Jail on “unrelated” charges when he was arrested. No such record exists on either the Third Judicial Circuit Court or Wayne County jail search engines. The Fine Arts Theater in a recent photo. In fact, George Rider has been a respected businessman in Detroit, as evidenced by his photo (above) in Hour Detroit. 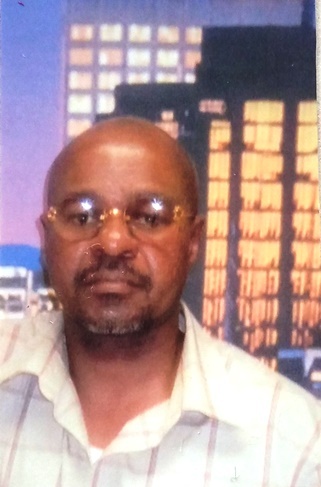 His George G. Rider Community Center bought the Fine Arts Theater on Woodward in Detroit in the late 1990’s, according to a Free Press article, which tied the theater to various shady dealings. 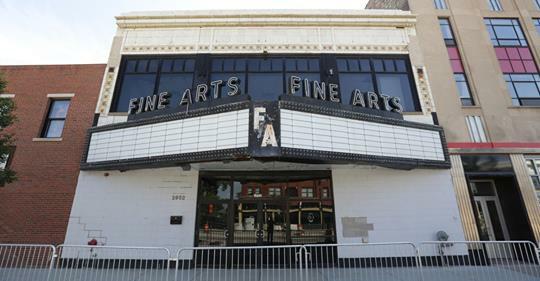 The Fine Arts Theater was originally owned by Joe Foster Jr., a respected Black businessman with extensive property holdings in what was then called the Cass Corridor, and in Brush Park. 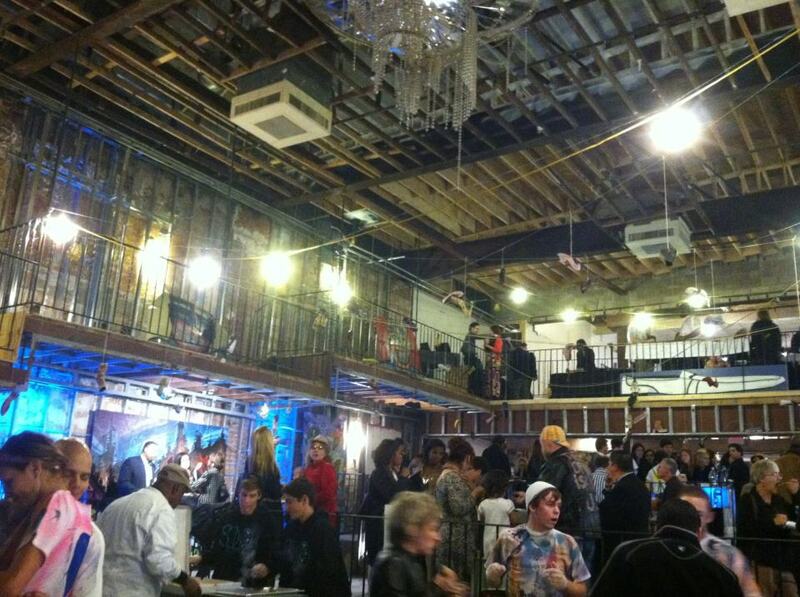 Inside the Fine Arts Theater during event for Heidelberg Project in 2013. Facebook photo. Both areas were targeted by wealthy developers in league with corrupt city officials, who have since razed the original Black-owned homes in Brush Park and replaced the Cass Corridor with fancy and expensive “Midtown” retail and housing developments. Foster and the subsequent owner of the Fine Arts Theater, Bernice Johnson, were murdered in separate cases which have (conveniently) never been solved by Detroit Police. Later, when Gwendolyn Washington was operating the theater as a concert venue, Detroit police conducted a SWAT-style raid including helicopters on a jazz concert attended by well-dressed middle-class Black citizens, claiming Washington had not registered the deed to the site. 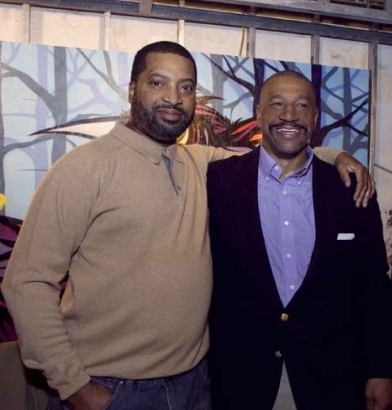 The now-defunct Michigan Citizen reported extensively on the movement to save the Fine Arts, led by Washington who was helped by Malik Shabazz and Ron Scott. Numerous rallies were held at the theater, which activists termed “liberated” territory. But eventually the activists were evicted and the theater has since lain dormant. 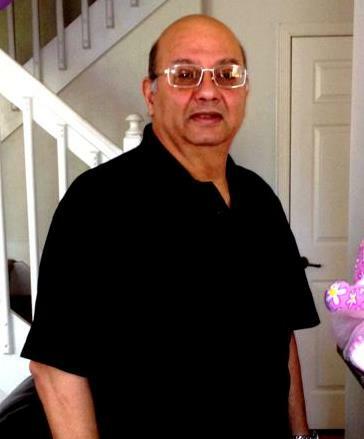 In 2016, despite disputes over the actual ownership of the Fine Arts, Birmingham developer Harry Boutros’ company IIILLC bought it for $1.3 million, according to the Detroit Free Press. Voice of Detroit is published pro bono. You don’t have to pay to access our stories. But there are substantial out of pocket costs associated with its publication. Currently we are in danger of being forced to shut down, as the editor is moving due to the sale of her apartment building and is incurring moving costs, at the same time our web hosting fee is due. ANY donation amount is much appreciated. Donate by clicking https://www.gofundme.com/VOD-readers-up.